Water extraction – Because mold needs moisture to grow, we’ll first address the water source that has allowed the mold to thrive. If mold has grown due to a plumbing or roof leak, we’ll vacuum out the water and dry the area. In instances where high humidity has allowed the mold to grow, we’ll provide solutions for how you can get the humidity under control. Containment – If you have a substantial amount of mold growth concentrated in one area of your home or business in Gwinnett, GA, we’ll set up plastic containment barriers to prevent mold spores from spreading into other rooms. Remediation – We’ll eliminate the mold using powerful disinfectants and carefully dispose of any mold-damaged materials in your building that we can’t salvage. Prevention – By applying a preventative treatment to the walls and other surfaces in your home or business, we’ll stop the mold from returning. We back this effective treatment with a 10-year warranty. If we treat an indoor area that people occupy, we’ll have an independent mold remediation inspector test air samples after we’ve finished our work. 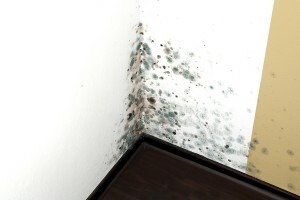 We guarantee that you’ll receive a clearance letter stating that our mold remediation services have made the space safe for inhabitants. To discuss your mold remediation needs, contact Abatement Solutions today. We are the preferred mold specialist for realtors, residential and commercial property owners, and landlords throughout Gwinnett, GA.